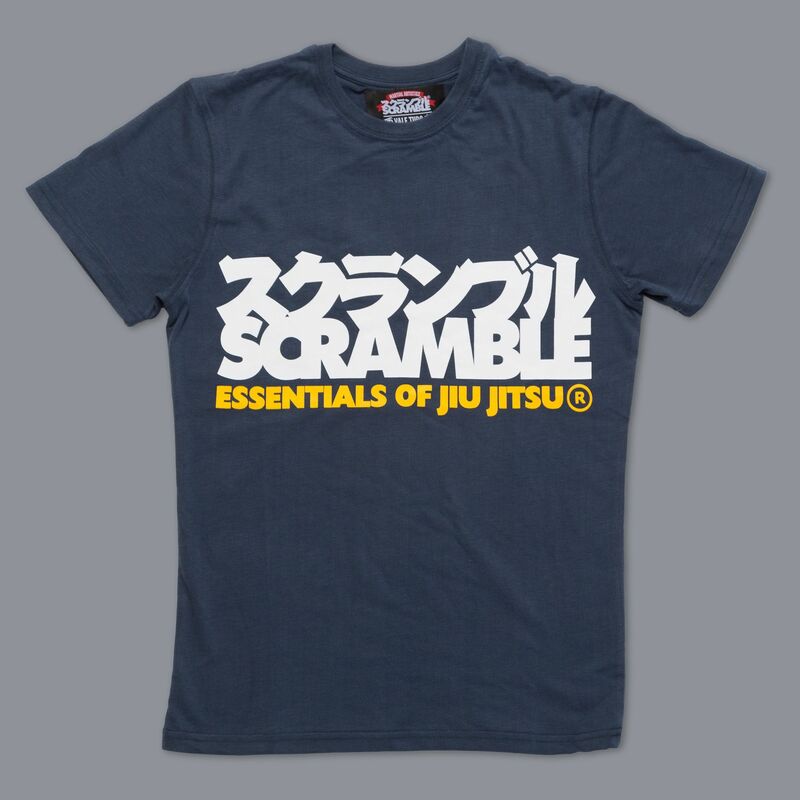 Our ‘Essentials’ tee… now in navy! Who doesn’t like Navy?! The Army maybe… But everyone else does. 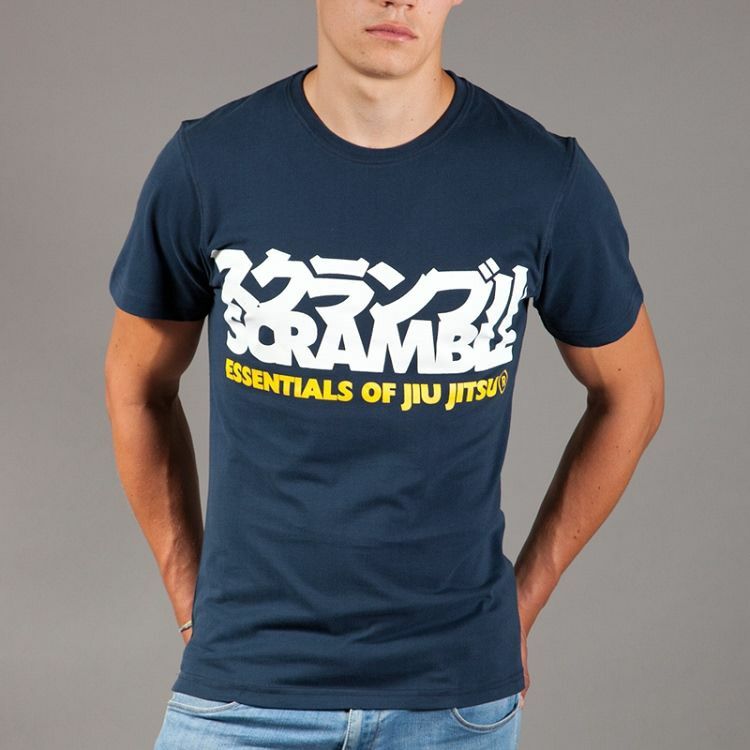 Featuring our logotype emblazoned across the front with the message Essentials of Jiu Jitsu, this t-shirt was initally inspired by the famous Japanese pro-wrestling / MMA crossover legend Kazushi Sakuraba’s WATER t-shirt, but grew all on its own from there. 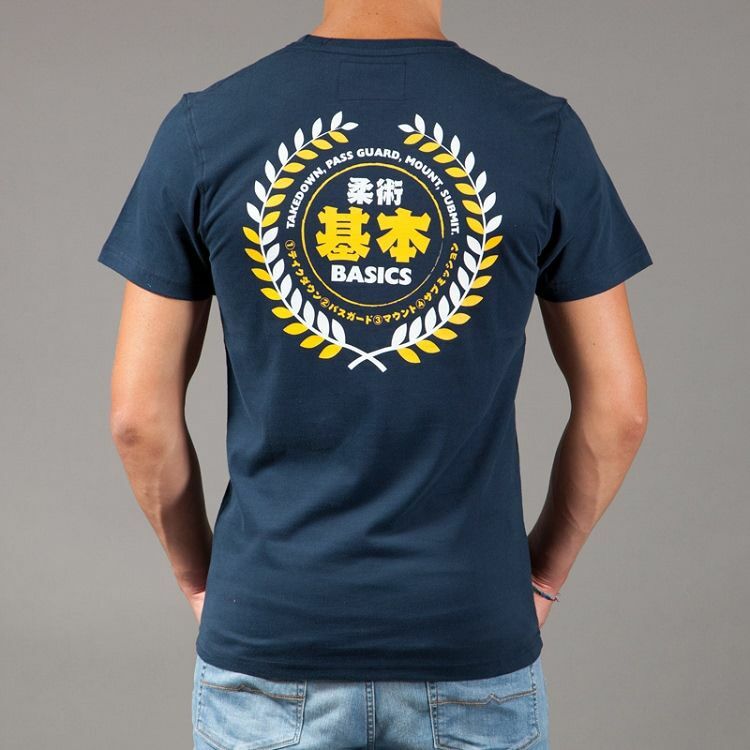 The back is printed with a design based around the four essentials of jiu jitsu, the basics… Takedown, pass guard, mount and submission. This is written in English and in katakana (phonetic Japanese.) The characters in the middle read Ju Jutsu, and then ‘kihon’ which means “basics”.